Art journaling is really not one technique on its own. 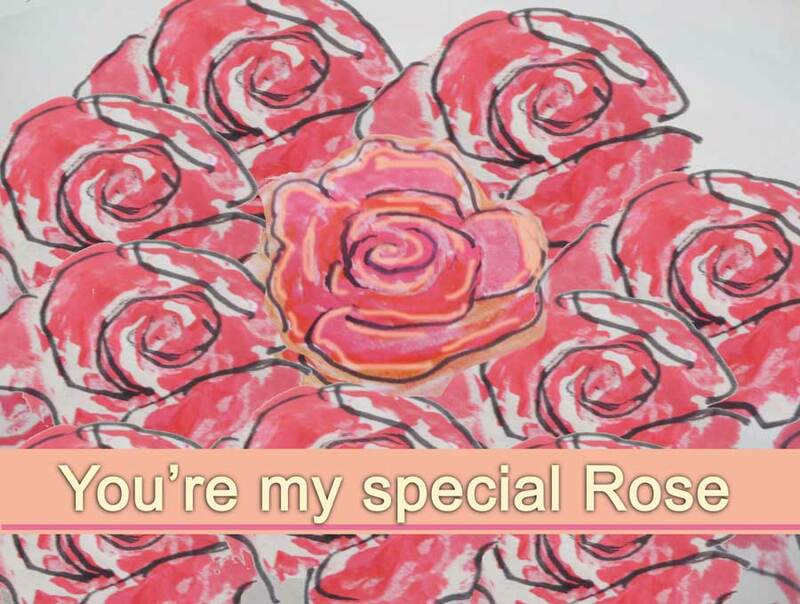 It is a soulful pursuit using almost any art making technique under the sun, ranging from drawing, calligraphy/cursive letters, painting, using markers, decoupage, stenciling, stamping, scrapbooking and other paper crafts, ceramics and beading. It’s all how you put it together to have meaning for you. Lovely, heh?! 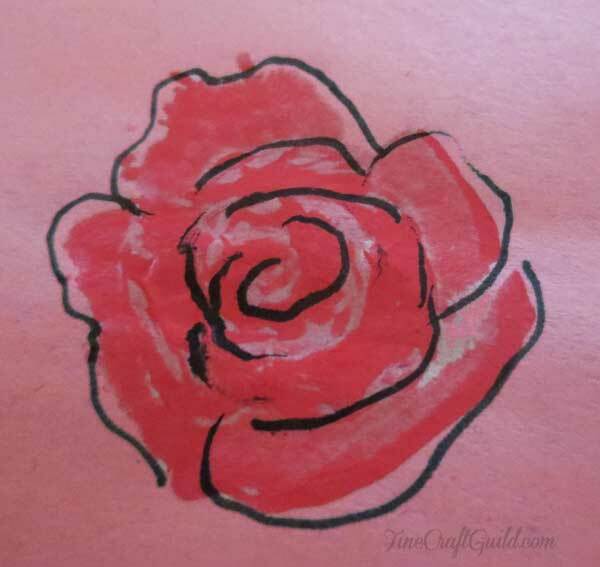 Made this rose stamp + and stamped this art journal background (or wrapping paper) in < 5 min. 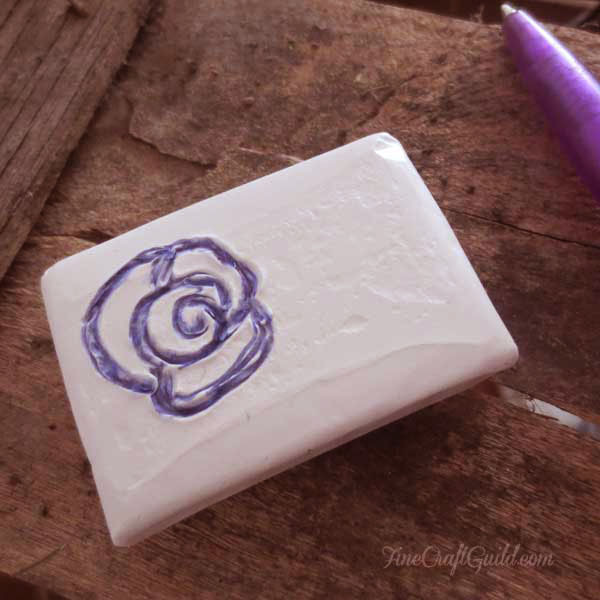 Today I am extending the list with a tutorial on how to carve your own stamps. Perhaps nothing is as much fun and really time efficient. You only have to carve a stamp once and you can reuse it hundreds of times. From my experience, this is what will happen… Once you get the hang of carving your own stamps, you will develop a set of stamps which will function as your own visual language symbols. Shapes and forms that hang together well and that can be used in a million different combinations, offering new meaning and visual interest. A. This is the stamp making material I recommend for carving professionals/the grown-up artist: Safety kut block printing material. These white blocks cut easily and do not crumble. Meanwhile, this is the material I used for the demo pics of ‘the easy way for kids’, which you probably already have laying around in your home: putty erasers! B. Lino Cutters and Handles . If you are going to be a Pro: get yourself 2 handles: one for a ‘V’-shaped blade, and the other for a ‘U’ shaped blade, and you can leave these blades on the handles. This will be your basic, to-go-to cutters-set. Or, for the rest of us, buy a set of blades with different size blades to make a variety of different sized cuts. C. Inspiration Sources. A great magazine, btw for art journaling which is both verrrry inspirational, beautiful and informative, is Cloth, Paper, Scissors . Get yourself a Cloth Paper Scissors. – magazine subscription. That’s the best thing. Then, for your birthday/Christmas, ask for/ treat yourself to the book with the same title: The Cloth Paper Scissors Book: Techniques and Inspiration for Creating Mixed-Media Art . Step 1. On paper, doodle or copy an existing design you have seen somewhere. Perhaps make a group of designs to begin with. 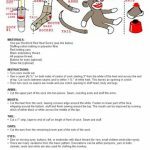 Stick with making smaller stamps only for your first few stamps. When you have the stamp designs you wish for, you are ready to take step 2. 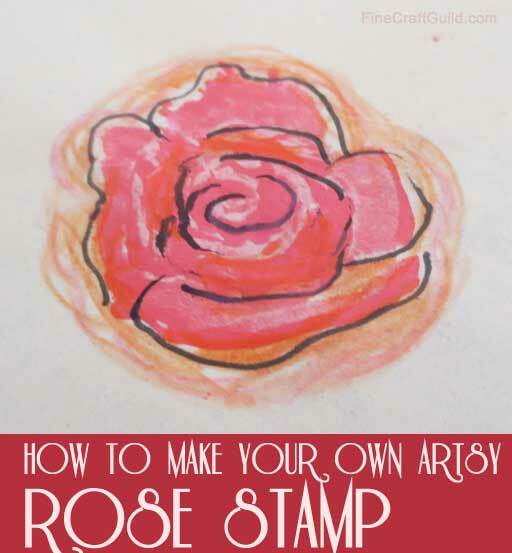 Use our ‘how to draw a rose’ tutorial to make the stamp featured here. 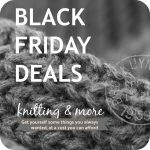 Step 2: With a pen, draw your design onto your blog. Step 3. 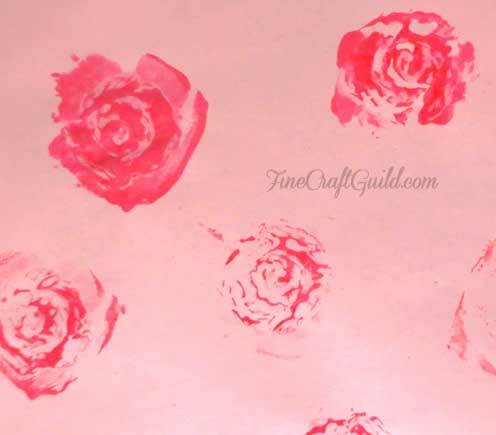 If you use the higher quality stencil making materials suggested, you are best to use a cutter. With the cutter, you can trace the shapes and carve out the negative spaces you have created. You will end up with the positive stamp. 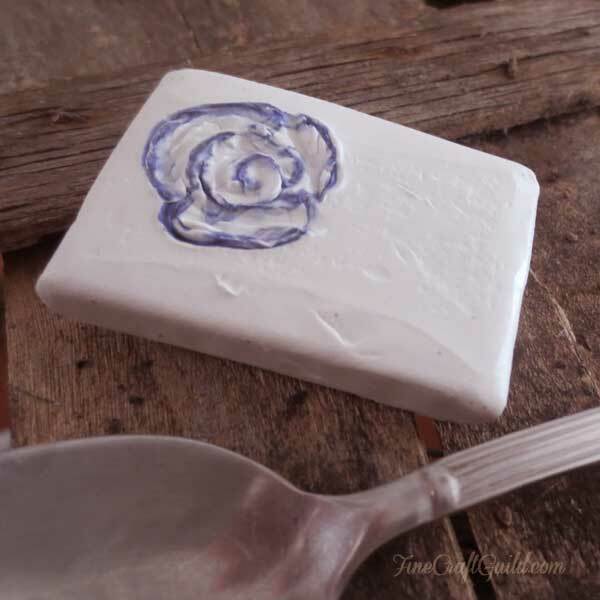 Alternative step 3: if you like me use a putty eraser, you will get a much rougher look, your stamp may not be as durable, but kids can make these stamps because all you’ll need to do is to press the negative spaces in your design with the back end of a little teaspoon. Very safe and fast. That’s in a nutshell how you carve stamps. When you are done ‘carving’, your stamp is ready for stamping. How to stamp with your handmade stamp: either put ink or paint on with a little brush, or smear it on with the back of that teaspoon as I did here for a very rough look, or press the stamp nicely onto an ink pad. 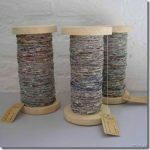 All depends on what materials you have on hand and the style of artwork you wish to create. Made or bought a brand new clear or red stamp and it doesn’t quite stamp out correctly, in that the image is blurry, it stamps light & grainy, or the ink beads up on the surface??? Conditioning your stamps is the solution. You can rub it with a white chalk eraser. That usually works good enough. If that is not enough, try your nail veil or superfine sandpaper. Experiment. You might just like the result. It has been proven to work! Then, to finish off your art journal or scrapbooking element, trace the shape with a sharpie/calligraphy pen to make it stand out. Click here for the calligraphy pen set .